Bear cubs nose to nose, a sure sign play is about to begin! Lake Clark National Park, Alaska. 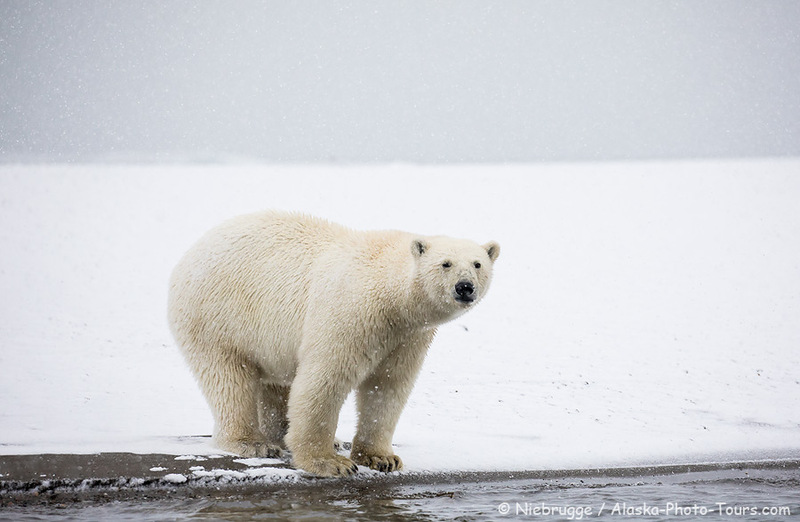 Excited to be announcing our 2020 Alaska photo tours! Including a brand new one to the Katmai Coast. Katmai Bears Photo Tour: I’m really excited about this new trip on the Katmai Coast timed to correspond with the salmon run, so fishing bears will be priority one! Having the flexibility of a boat will allow us to change locations, allowing us to not only be at the current “hot spot”, but will provide us a variety of backgrounds. I have charted the entire research vessel, the Island C , giving us maximum flexibility. This is a vessel that has been working on research projects for the Park Service along the coast, so they know the area well. But the bears are just half the story – ok, maybe two thirds. The trip will begin and end from Kodiak Island. This will give us an opportunity to visit some amazing sea bird locations where we will see and photograph lots of horned and tufted puffin, along with many other birds. We will also spend some time with the large rafts of sea otters that gather in the area, and finally will spend time in an area that is loaded with whales. 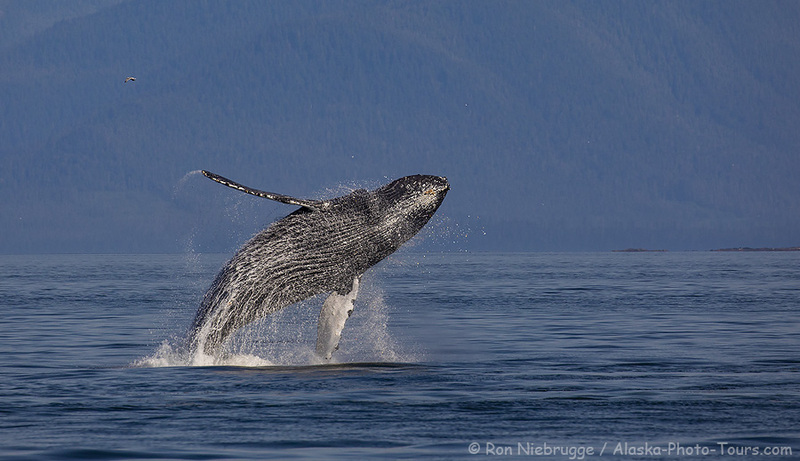 Humpbacks and gray whales are common, but orcas and minke are also a possibility. 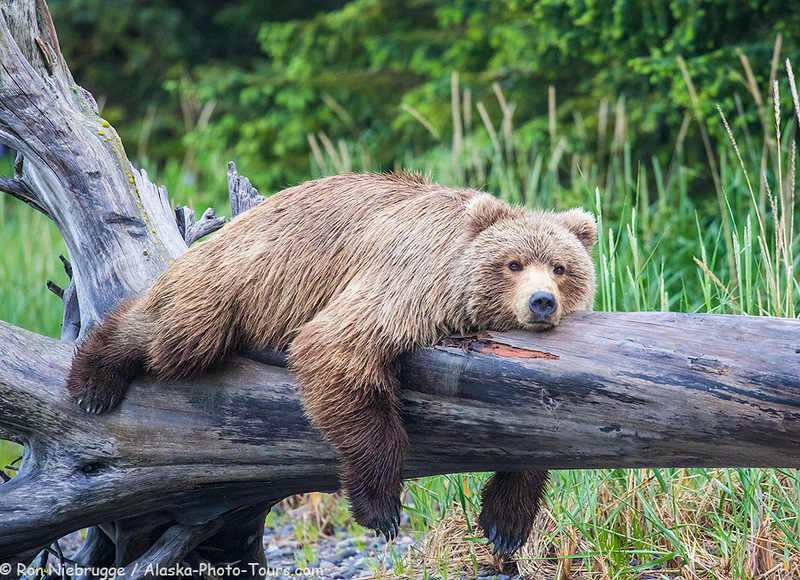 What about the lost time traveling between Kodiak and Katmai, won’t that cost us a day each way? We actually do that crossing at night, so one evening we will be photographing wildlife in and around Kodiak, and the next morning we will wake up on the Katmai coast! Although it might be hard to sleep with anticipation. We have one full cabin and a spot for a solo male remaining – follow the link above for all the details on this all inclusive 8 day trip that includes a stay in Kodiak. Bears, Whales and amazing scenery of the Inside Passage Photo Tour: This is my favorite trip because of the incredibly variety. I charter an entire, gorgeous 87 foot classic wooden yacht for two trips each summer. This is the perfect photography platform – tons of room for what is at most only 10 guests. Covered areas make staying dry while photographing a breeze. We visit popular bear viewing areas including Pack Creek. We also motor through incredible whale waters where we hope to photograph breeching whales and bubble-net feeding humpbacks. Active tide water glaciers are also on the menu. We anchor at night at beautiful, secluded coves where going for a walk on the beach, or a paddle in a kayak are usually possibilities. This trip is very popular and it isn’t uncommon for guests to repeat it. One of the two trips is already sold out, but we still have one cabin left on the second trip. Check the link out for more details on these all-inclusive 9 days trips that include Juneau. 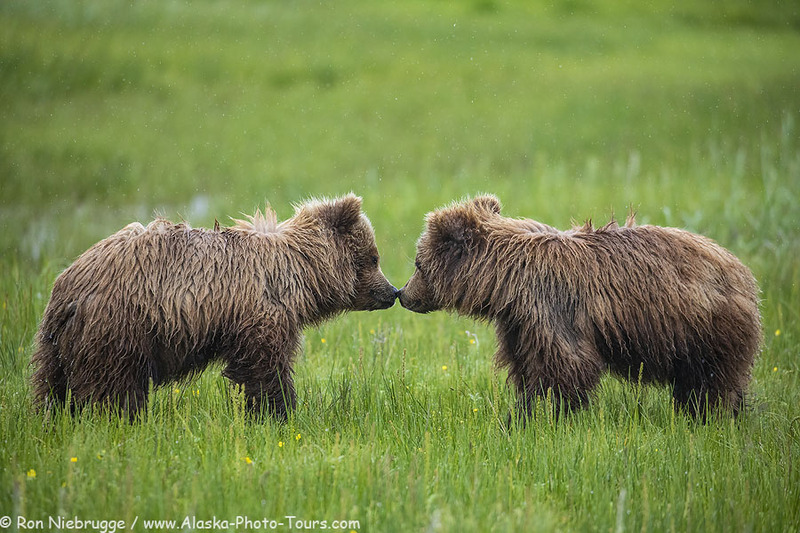 Alaska Bears, Bears, Bears and Puffin Photo Tour. If it is bears that you want, then this is the trip for you! I have been visiting this wonderful lodge on the coast of Lake Clark National Park for over a decade, and offer two trips every June. We will see lots of bears, and will even have bears walking between the cabins and around the grounds of the lodge. 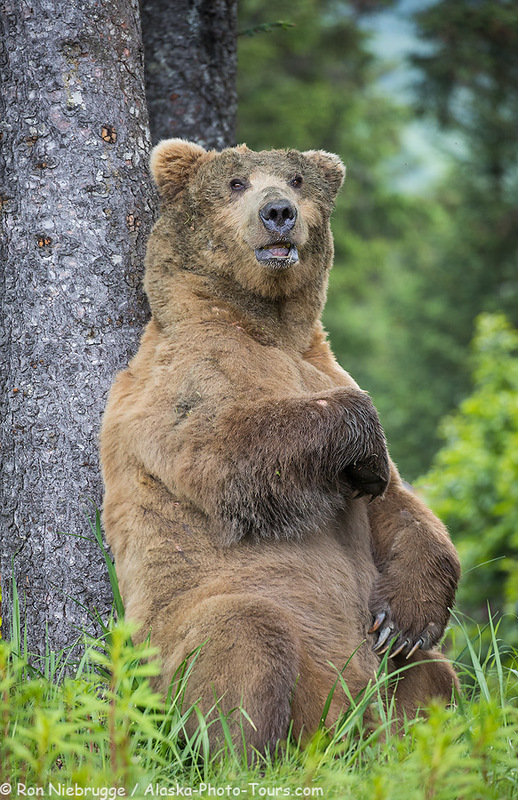 We are often watching bears as we dine on the wonderful food! This is the best time of year – we usually see sows with cubs, playing, nursing digging for clams, eating grasses the works! Since it is mating season, this is also the best time of year to see the huge boars. It is exciting to see the males posturing and trying to intimidate each other. Throw in wildflowers and lush green grass, and you have the ideal environment. We will take at least one boat ride to an island with many sea birds including horned and tufted puffin. This is typically my most popular trip with some guest returning three, four and even five times – seeing bears up close is an addicting thrill! Right now there is 1 spot remaining on one trip, with more spots still left on the other. Again, details on this all inclusive trip that includes dinner and hotel in Anchorage is on the website. By the way, due to a recent unexpected cancellation, we do have one spot on the bear trip for 2019. Be sure to sign up for email notifications and stay tuned as we have some exciting new stuff in the works including Antarctica! 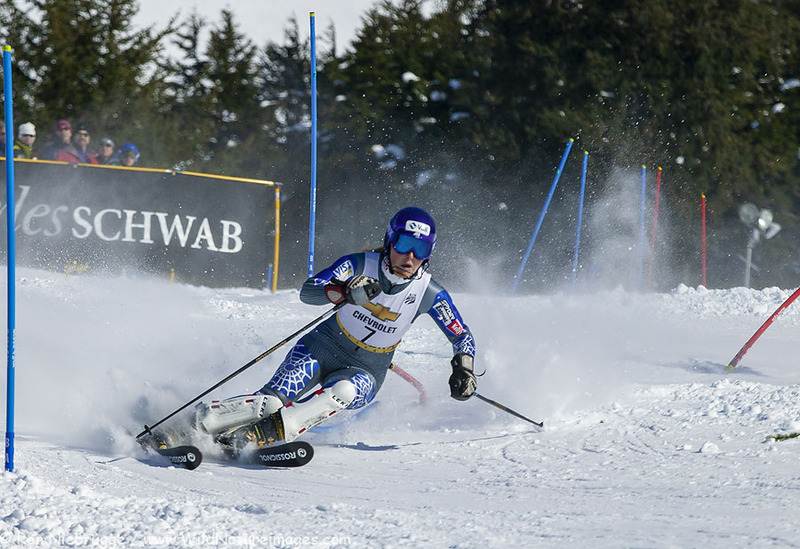 Lindsey Kildow, now Lindsey Vonn at the Slalom race during the 2004 Chevrolet U.S. Alpine National Championships, Alyeska Resort, Alaska. Back in 2004 I was excited to pick up a press photo pass for the U.S. Alpine National Championships which were being held just an hour and a half from my home. I was excited to see and photograph the likes of Bodie Miller and Daron Rahlves and Julia Mancuso. Fortunately I also photographed the lessor known athletes as well. Little did I know then, but one of them one, become the most successful female alpine skiers in history! Back then she was known as Lindsey Kildow. I remember her because she had fallen early on and scratched her chin and always had a band-aid on it. I actually have a fair number of photos of her skiing and at the podiums as she had a successful Championships. It is fun to look back at the images of her as little did anyone know then, she would soon become a household name! So this weekend she is retiring from skiing – cheers to a fantastic career! Another busy but wonderful year! It is hard to narrow down to just my choices. I did a fair amount of people photography this year, and some of them could have made the cut. 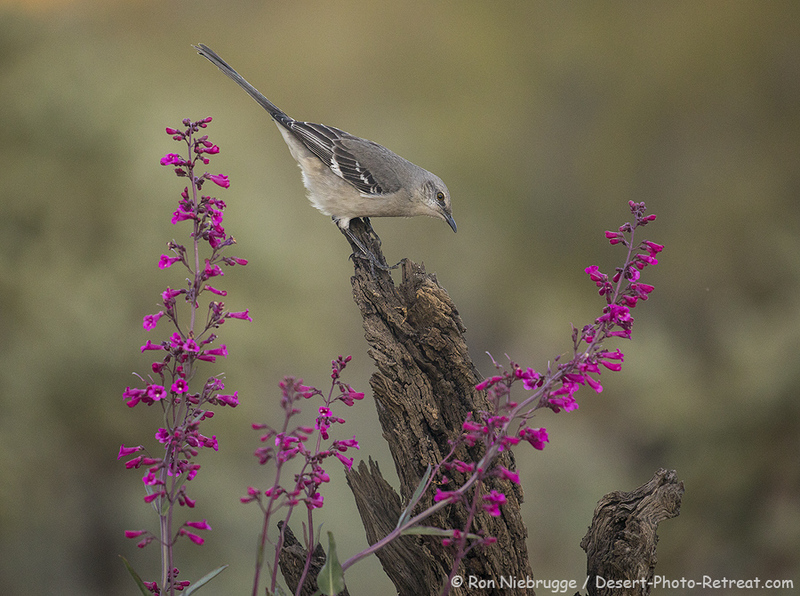 Plus, I have lots of birds and wildflower from the Desert Photo Retreat, but tried to keep it to just a handful of each subject. Except bears – have to include lots of bears! For those interested, here are more: Favorite Photos of 2017 Favorite Photos of 2016 Favorite Photos of 2015, Favorites of 2014 Favorite photo of 2013 Favorite photos of 2012 – favorite photos of 2011 – favorite photos of 2010 – favorite photos of 2009 and finally, favorite photos of 2008. Brown Bear, Lake Clark National Park. This pose was just too cute! 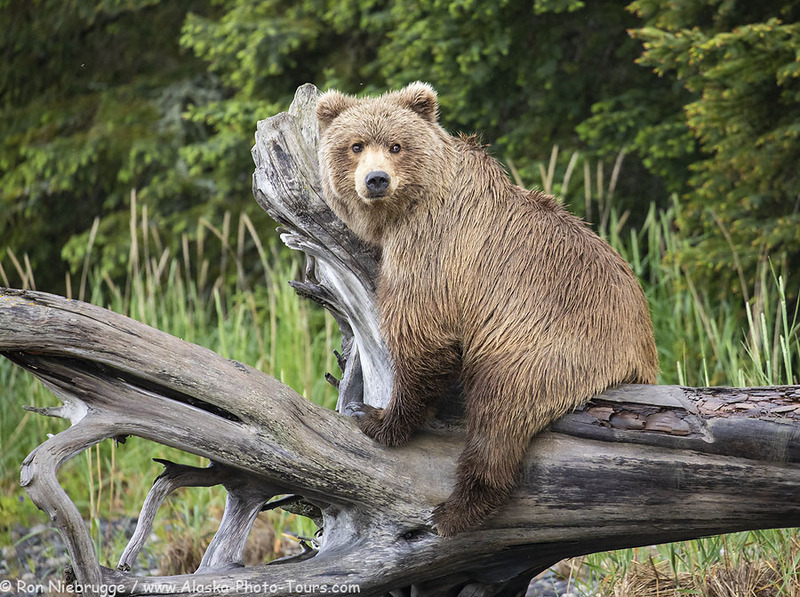 The brown bear photos are from my photo tours. Brown Bear Boar, Lake Clark National Park, Alaska. 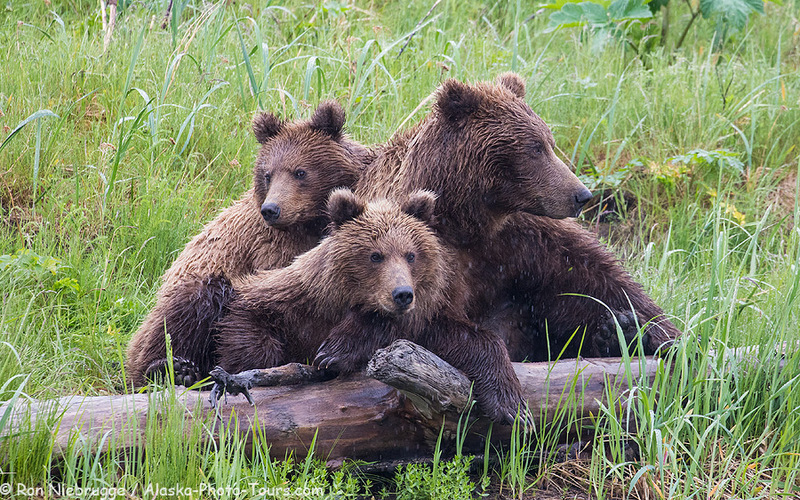 Brown bear sow with two third summer cubs – what a family pose! This male was absolutely huge! 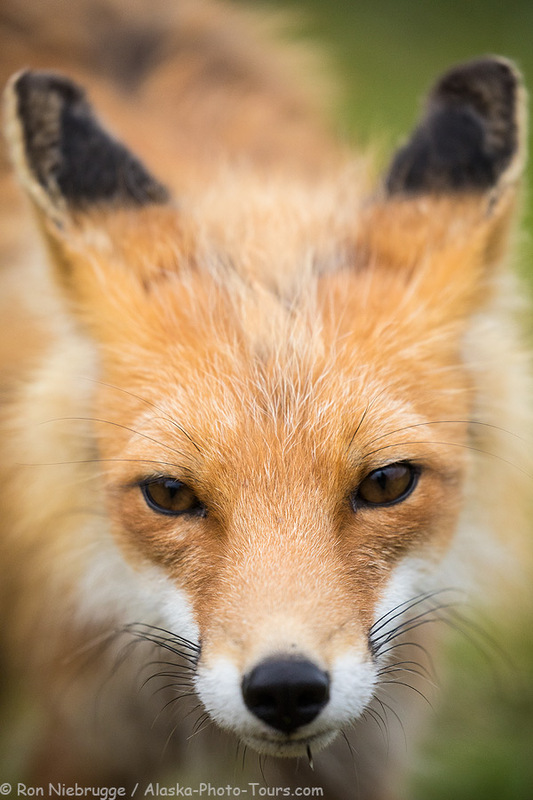 A wild red fox from my Alaska Bear Photo Tour. Maybe my favorite of the year in part because of how much work went into capturing this photo. 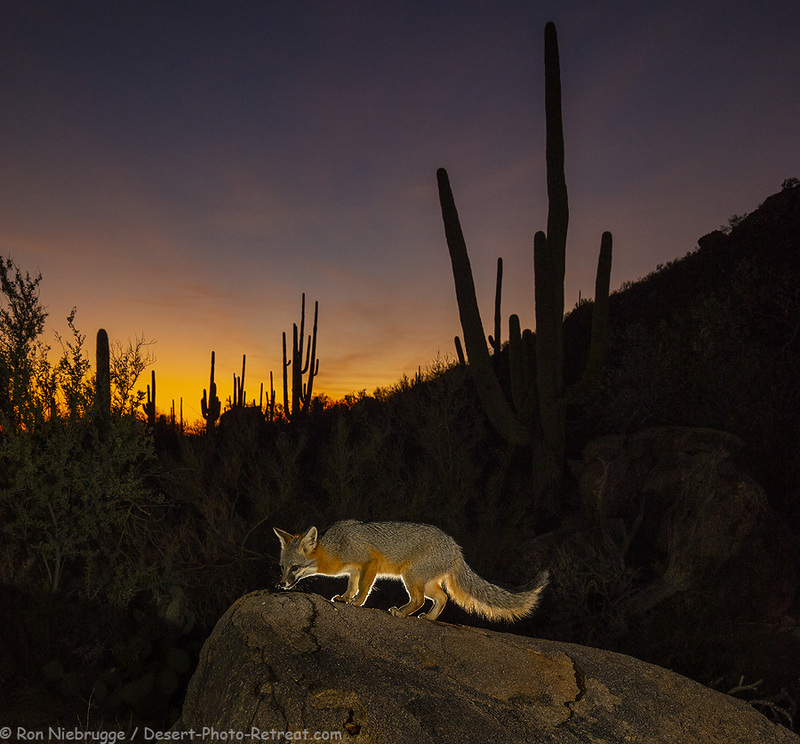 Three flashes, a remote and a sunset all finally came together to capture one of our local residents. 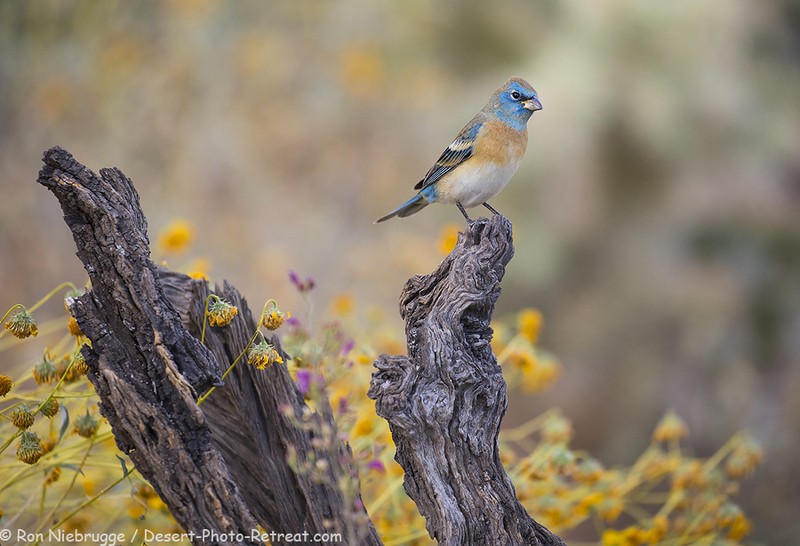 One of our many colorful migrants here in Arizona. 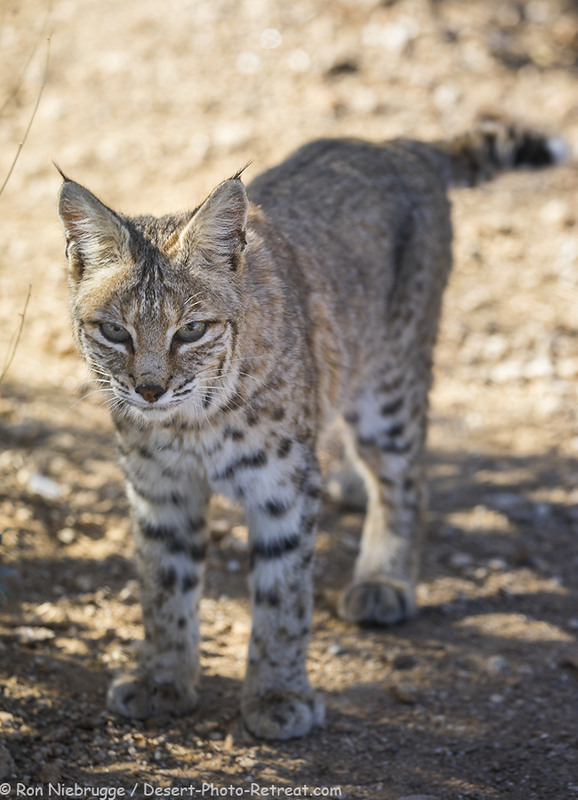 Bobcat, Desert Photo Retreat, near Tucson, Arizona. I love bobcats, it was such a thrill to have two regulars last Spring. 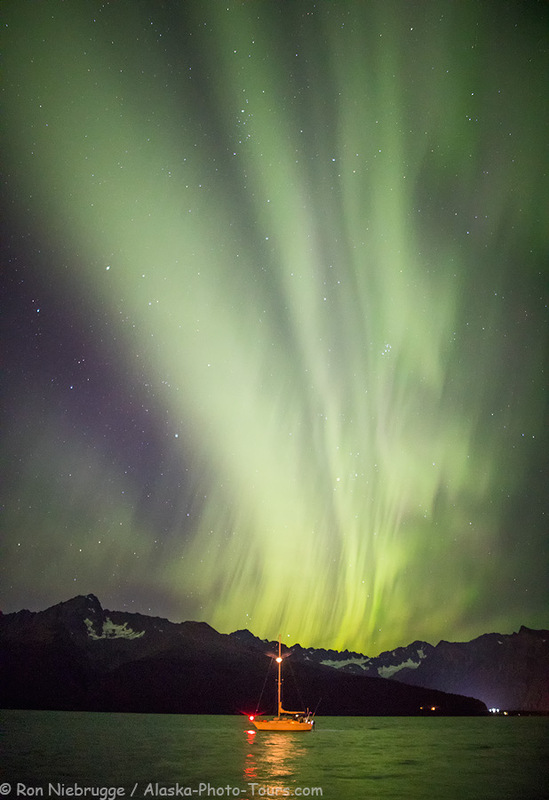 Northern Lights over Resurrection Bay, Seward, Alaska. Every year I have at least one photo from my “front yard” It was a treat to have aurora there this fall. 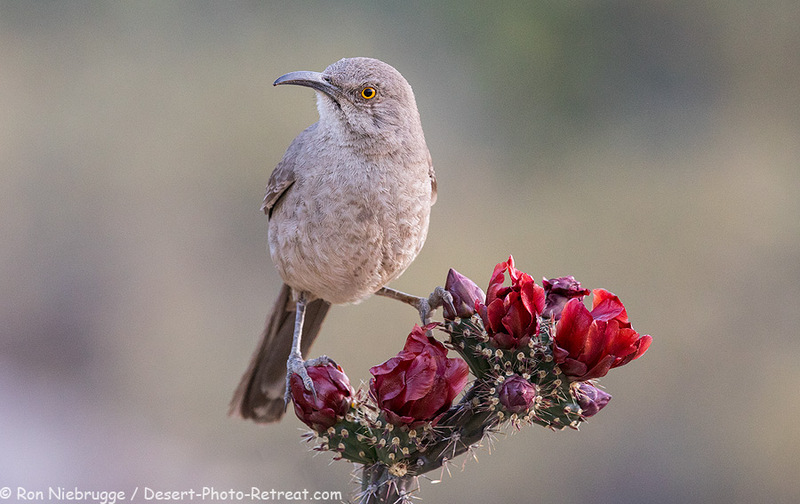 Curved-Billed Thrasher, Desert Photo Retreat, Arizona. A final image from our desert property. 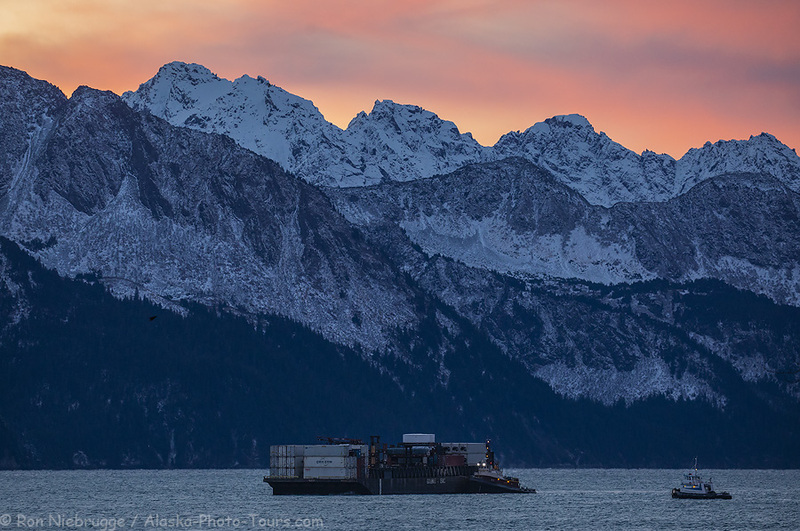 A tug and barge coming up Resurrection Bay a few minutes ago, Seward, Alaska. 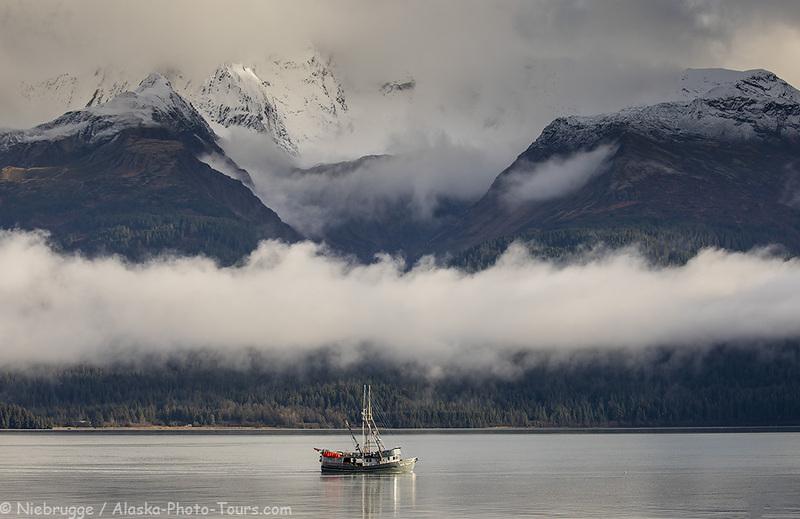 A fishing boat passing by our home office and heading out to sea, Seward, Alaska. This view is one reason I have trouble getting work done in the office! Humpback whales, Fredrick Sound, Alaska. I know I have said this before, but seeing humpback whales cooperatively feeding is one of the most amazing things I have experienced in nature! Humpback whale, Frederick Sound, Alaska. This amazing humpback breach is from a year ago – finding some gems as I get caught up on editing.